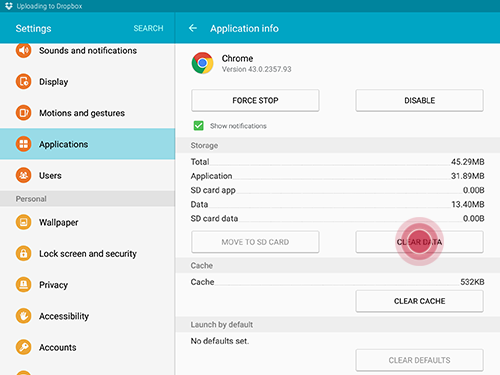 If an application on your device is not responding, you can clear the temporary files from the application cache to free up memory. If the application remains unresponsive, or if there is an application you want to reset to factory settings without uninstalling it, you can clear the application data. 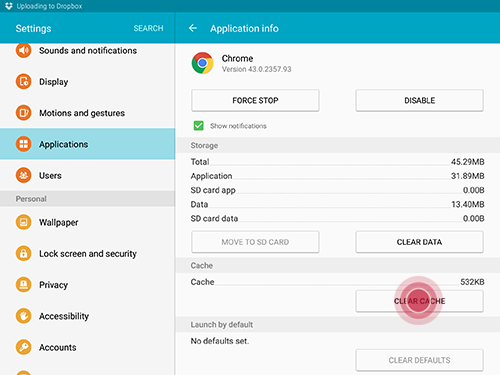 Clearing application data can also free up memory on your device. 2. 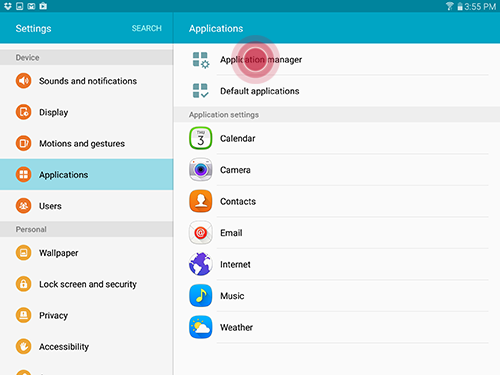 Touch Applications > Application manager . 4. 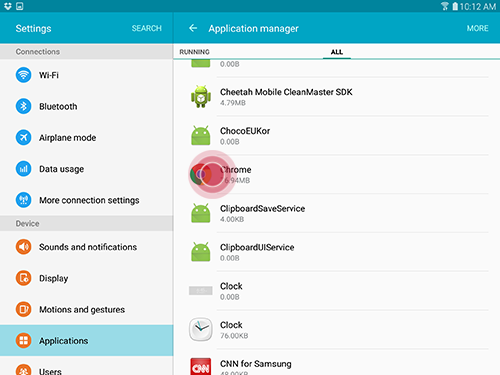 Touch an application for which you want to clear the cache. 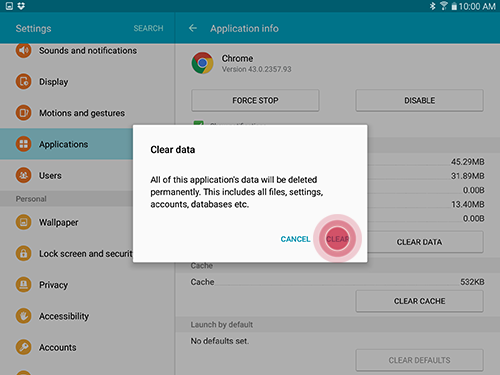 Warning: Clearing application data will reset the application to factory default settings. All personal settings, such as bookmarks and saved passwords, will be deleted. 4. Touch an application for which you want to clear the data. 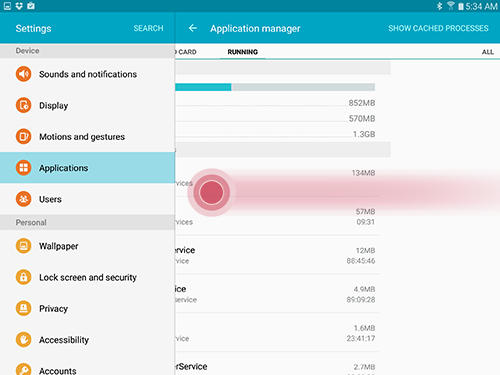 6. Review the information about deleting application data and touch CLEAR.